Retailers must get a little crafty when it comes to “selling” millennials. The path to purchase for these 80 million consumers isn’t a straight line; it looks more like a maze. Millennials make their way through breaking down advertising claims, researching products, reading online reviews and asking their friends’ advice during their buying process. It’s anyone’s guess as to when in their journey they’ll actually turn a corner and make the purchase. What we do know is that millennials are heavy social media users and 2.5 times more likely to be early adopters of new digital, social and mobile tools. That doesn’t mean, however, that brands can simply slap up a Facebook page or Instagram account and be done with it. The actual content on those social sites matters; it’s what drives social media activation. Your approach to content is will be what makes or breaks your marketing communication efforts in the future. 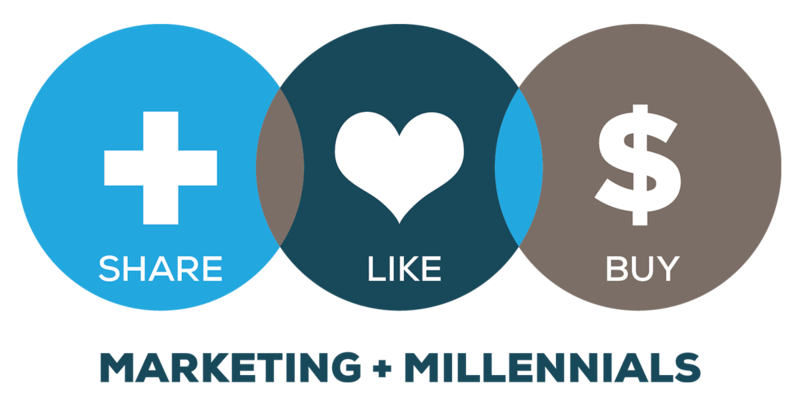 Below are three ways to delight your millennial customers via social media. For the past 40 plus years, the great brands of yesterday were focused on creative excellence. Their goal was to craft the perfect message and then to push it out via various shotgun methodologies, hoping to build brand awareness and regard for their product. Sure, awareness and regard are still important but, on their own, will never correlate to extra-ordinary and sustainable financial performance. In a digital age, engaging content is the way to achieve that. It’s an opportunity for the brand voice to live everywhere. We used to think of advertising as a means of communicating a message to a certain audience, but those traditional advertising messages are limited to their medium. Because people experience brands in fluid ways, we can no longer rely only on creative advertising to make an impact. Content is about the message AND the context. Your content strategy should be about activating and engaging your digital community in ways that traditional advertising never could. Millennials strive to share their experiences and thoughts with their friends, which is why they post about their daily lives on social media sites. What brands must understand is that they share only what they deem interesting, not necessarily what brands want them to share. For example, if they see a hilarious commercial, their goal is to be the first to post it to their pages, so their friends can also see it. And that is better than any paid advertisement. The idea of content being “shareworthy” is nothing new. Marketers used to encourage sharing by word-of-mouth. However, today we talk about word-of-mouse. The “share” is no anomaly; we’ve just shifted from a mindset of advertising ideas to ideas worth advertising. Treating content in that manner ensures your messaging is meaningful to your audience. Sharing is rooted in peer affirmation and how the consumer feels about themself when they share content with friends, family and random strangers. The great brands of tomorrow will inspire sharing rather than pushing out social media messages because millennials share content that adds to THEIR story and skips over content that doesn’t. The most successful millennial brands inspire consumers to do their work for them. How does that work? Well, the key is finding your brand’s biggest fans and giving them opportunities to create useful and meaningful content on behalf of the brand but at their own time and expense. This type of user generated content is more likely to keep millennials engaged than branded content. While other forms of media also play a role in purchase decision, UGC is 20 percent more influential than any other media type. Content is quickly become the norm for brands on social media. The most inspired brands realize that their content must be interactive and speak to millennials directly in a way that is relatable and non-branded. Social media will only get you so far. Now, it is all about the content that fuels your social media presence.